No inventor has ever lived who produced more than one epoch-making invention, and the number of those who thus impressed their genius upon their epoch is extremely small. Hewitt is one of this small number. Peter Cooper Hewitt, inventor and scientist, was born on March 5, 1861 in New York City to Abram and Sarah Hewitt. Peter inherited much of his grandfather's genius for mechanics. He was educated at Stevens Institute of Technology and the Columbia University School of Mines, from which he later received an Honorary Doctorate of Science in 1903. Peter went on to pursue his own scientific interests with the help of the wealth amassed by his grandfather and father. This resulted in much of his adult life being devoted to scientific experimentation and the development of several patents. Not until the late 1880s, however, did his work begin to bear fruit. Compared to today's standards, the lamps of the 19th century were very wasteful and inefficient. The incandescent lamps that were used in the 1890s converted only 5% of the energy into light; the rest became heat. Hewitt's attempts to solve this problem resulted in his first invention: "The Cooper Hewitt mercury-vapor lamp." While experimenting with electric conductivity, he found that an electric current could effectively pass through mercury gas sealed in a quartz tube. The Cooper Hewitt mercury-vapor lamp originally produced an intense, cool, bluish-green light when tested. Because more than 5% of the energy was converted into light, it was more efficient and less expensive to operate. The only drawback was its blue and green color. Peter later solved this problem by designing a transformer that would add red rays of light, which helped the lamp to produce a more incandescent effect. This transformer produced a powerful ultraviolet light that became very useful in therapeutic practices, sterilization, and chemical applications. Soon, his mercury-vapor lamp was in great demand. In 1902, Hewitt and George Westinghouse formed the "Cooper Hewitt Electric Company" to manufacture and sell the new lamps. The product gave rise to the firm "Westinghouse Cooper-Hewitt" in England. Together, they manufactured and distributed a variety of electric equipment like the Hewitt rectifier, Cooper Hewitt oscillator, and Battery-Operated Locomotive Headlamps. The company grew to be so successful that by 1914, General Electric Company had assumed a controlling interest in the Cooper Hewitt Electric Company. Hewitt was acknowledged for many of his inventions during the years 1904-1914, receiving the prestigious Elliott Cresson Medal of the Franklin Institute for his static converter/mercury arc rectifier. The gliding craft was another invention of his that came about when Hewitt turned his passions to automobiles. In 1907, he developed a small hydroplane motorboat on the theory that lessening the friction between a ship's hull and the water would allow it to be dramatically faster and more efficient. He later proved it when he tested his hydroplane boat, which was powered by a large eight-cylinder engine of his own design. During testing, the hull of his craft would break loose from the water as the speed increased. It rose up and planed on four small wing-shaped hydrofoils that extended from the hull below the water line. From this achievement, Hewitt pursued interests in powered flight. He wrote articles for the popular press, and in 1908 he predicted that one day aircrafts would be more plentiful and cheaper than automobiles. He further launched investigations into the possibility of helicopter flights, which won him a US patent for a balloon envelope and supporting truss. 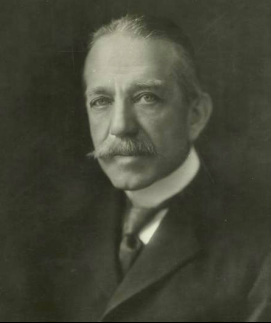 In 1910, Hewitt served on the first board of governors for the newly-formed Inventor’s Guild, an organization intended to further the interests and secure the rights of scientists and inventors. In 1915, the Secretary of the US Navy asked the Inventor's Guild to recommend individuals to the new Naval Advisory Board. Hewitt was appointed to this board and received three patents to build a helicopter. In 1920, Hewitt and an engineer named Francis B. Crocker constructed a full-size working example. It had two counter-rotating blades, which provided sufficient lift to support the craft and an additional 225 pounds. This was the last major invention of Hewitt's life. Peter Cooper Hewitt married Lucy Work on April 27, 1887. They had no children and later divorced. He married his second wife, Maryon Andrews Brugiere, on December 21, 1918. They had one daughter, Ann Cooper Hewitt. Peter Cooper Hewitt died on August 25, 1921 in Paris at the age of 60.